The FIA World Rallycross championship crosses over the border from France to Germany, and to the Estering circuit in Buxtehude, close to Hamburg. This round is also part of the European championship, and due to the huge interest in racing in Germany, this event sees a record 41 entrants! But first let's take a quick recap to the French round. Although Timmy Hansen were dominant in the heats winning three out of four, Petter Solbergs tactics worked out in the finals. The Norwegian won his second event in a row and his third this season. OlsbergsMSE driver Reinis Nitiss also drove under the radar for most of the event, but got an impressing second place. Timmy Hansen was slightly unlucky in the finals, but manage third place. Ken Block also got himself a spot in the final, and he posted the fastest lap during the whole weekend. Which means that Petter extends his lead in the championship, though he could still lose the lead with a catastrophic weekend where he scores no points. Nitiss gets back into the fight, where it looks like Solberg, Nitiss and Topi Heikkinen are the most likely to take the World Championship. You migth notice that some drivers have recieved an extra point. The official sources haven't given any reason for why, but rumours are that it's from Liam Doran's disqualification in Hell. That makes sense because all of the drivers that have recieved the extra point was in the semifinals in Hell. It doesn't matter much, because most of the championship contenders got that extra point. So, let's move on to Germany then! This track is one of the shortest in the championship, with only 952 metres of action. Up to 10 000 spectators can watch the cars tackle 60 % tarmac and 40 % gravel. 14: Frode Holte (NOR) - Ford Focus "Stina"
Mattias Ekström also returns to rallycross here in Germany. His participation in DTM makes Germany like his second country, and I can imagine he would like to do well here. Morten Bermingrud, Ole Håbjørg and Stein Egil Jenssen all entered in Norway, but will look for better results here in Germany. Frode Holte doesn't drive his new Hyundai i20, but the old championshop-winning car of Sverre Isachsen, nicknamed "Stina". Dennis Rømer is a former S1600 racer, but wil enter here in an old Seat Cordoba as he did last year. The Dane got into the top 16 then, but he'll be lucky to get any points this year. Bernd Schomaker has raced in rallycross since 2011, and has mainly featured in the German championship and Rallycross Challenge Europe. He enters here in a Skoda Fabia, a car that has proved successful in RCE. Rene Münnich regularly drives a Chevrolet in the World Touring Car Championship, but has featured in the European rallycross before. He also entered at Höljes this year, but didn't quite have the speed and got no points. Now he's back with a new Audi S3 supercar, that should be faster than the old Fabia. Jörg Jockel also regularly drives in the German championship, a series which he won back in 2004 and 2008. Parallel parking world-record holder Ronny C'Rock will join Marklund Motorsport in a third VW Polo. Handbrake turns are a big part of rallycross, but I think a Polo Supercar is something else than an Up! Another comeback this weekend is the one of Guttorm Lindefjell. The Norwegian frequently entered the European years during the late 90's and 00's, but hasn't done much racing the past years. The Norwegian is known for max attack, and blowing up his racecars if they don't work out for him. He won the championship in 2003, and could surprise us here. 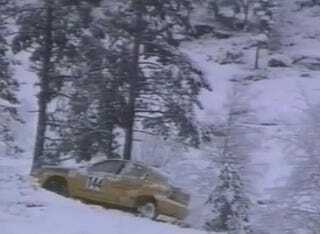 The last wildcars this round is former WRC driver PG Andersson. The Swede is the 100th driver to enter WorldRX this year, and will drive a Skoda Fabia provided by Hedström Motorsport. Last time he was in rallycross he got to the final, so he could be one of the best wildcards this round. Of course, this will all be broadcasted on livestream, probably starting at 14:00 CET on Sunday. As always it will be a recap of the heats with live finals. Last year this was the final round of the championship, with Alexander Hvaal taking the win after a chaotic final. Several drivers crashed out, and the first corner was particularly tricky. In 2012 Liam Doran took the win, showing that different driving styles work on this track as well.